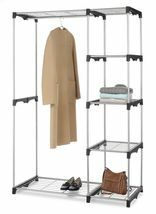 Double Rod Closet with shelves does not need any tools to assemble. Silver coated steel frame makes the closet sturdy and it comes with durable resin connectors. 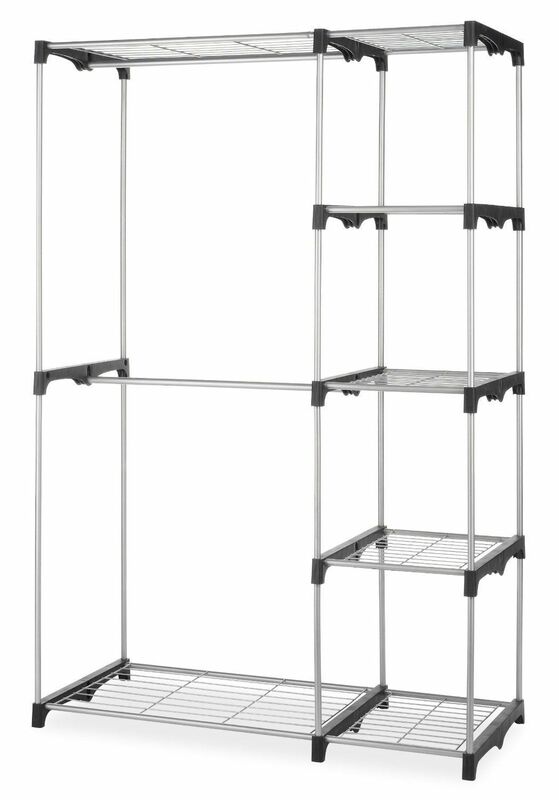 Contains 5 wire shelves and 2 hanging bars. The center bar is removable for longer garments. 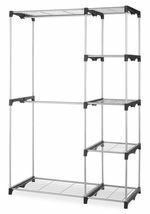 Great for areas where extra storage and organization is needed. 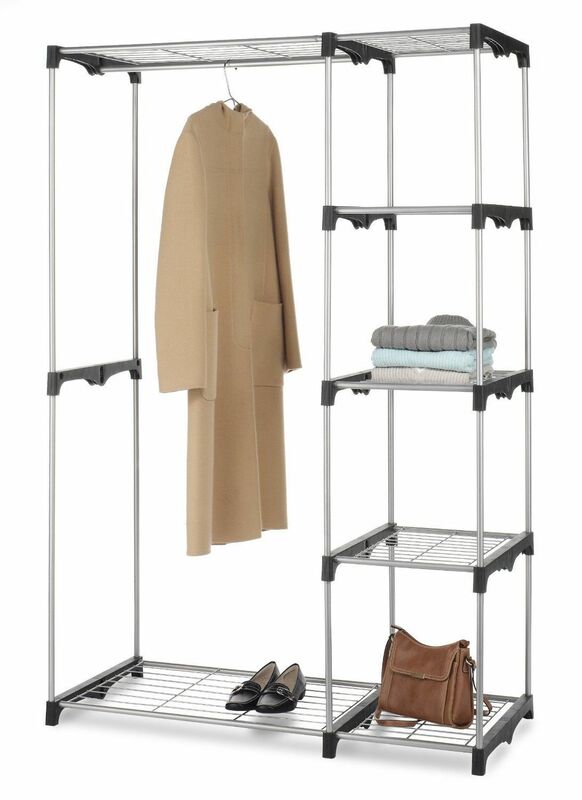 Get organized with free-standing closet, featuring dual hanging rods and 5 shelves Hanging rods support full-sized jackets as well as fabric shelf towers Center hanging rod is removable for longer garments Sturdy silver coated steel frame with durable resin connectors Easy to assemble; measures 45-1/4 by 19-1/4 by 68 inches (WxDxH) I ship to the lower 48 states only and I do not combine shipping and I do not ship to APO's or P O Boxes.